This piece was selected by the National Sculpture Society to appear at their "Sports Sculpture" exhibition in Manhattan in 2002. 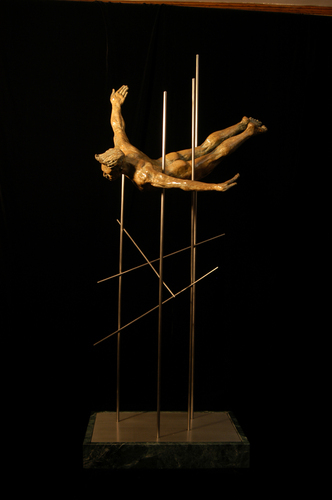 In the Spring of 2003, Free Fall received the ASID (American Society of Interior Designers) Choice Award at the Highlights & Shadows sculpture show at the Art Resources Gallery in International Market Square, Minneapolis. This piece is in private collections in Chicago and Minneapolis.